You can produce a list of material written about an author or their works, including references to articles, monographs and dissertations and related entries in major reference works and relevant websites. 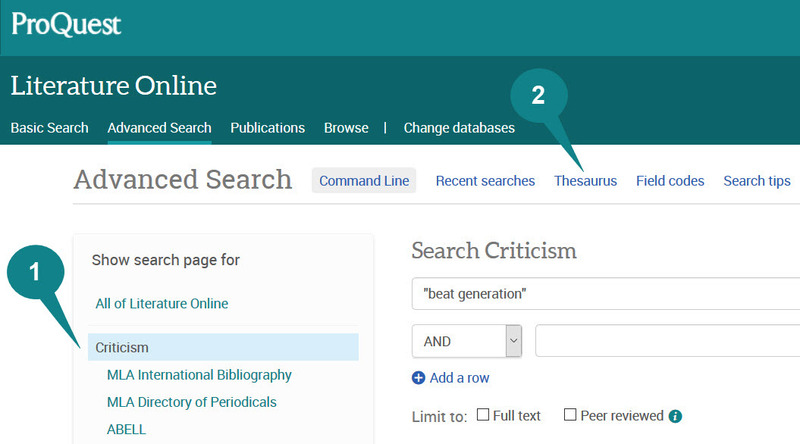 When you search for literary criticism, Literature Online lists information available in the MRHA's ABELL (Annual Bibliography of English Language Literature) and MLA International bibliography (if subscribed). 2. 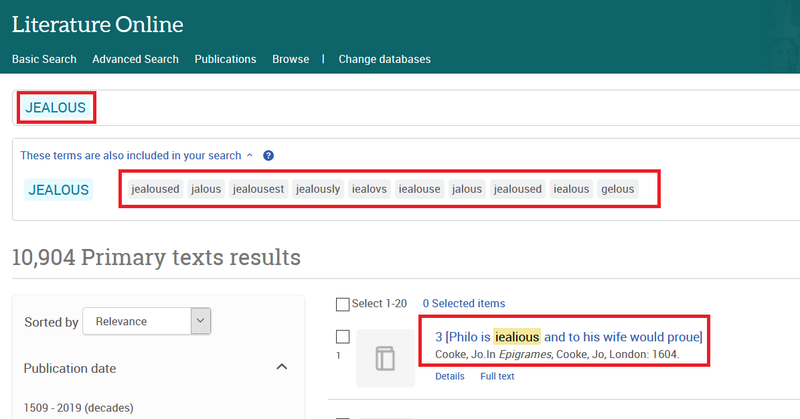 The thesaurus link gives the following options: the MLA Personal Names Thesaurus and the MLA Subjects Thesaurus. For more details about advanced search features, click here. 1. 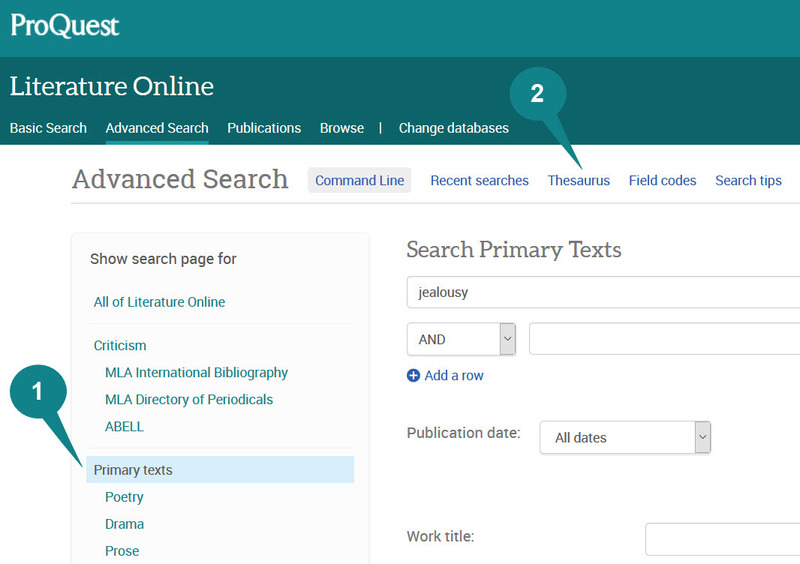 You can search all Primary texts. There are several options to limit your search - publication date, work title, author information (nationality, ethnicity, gender, living in the years), literary movement, literary period, work type. You can also search Poetry, Drama or Prose individually. These search forms will provide you with additional limit options. 2. 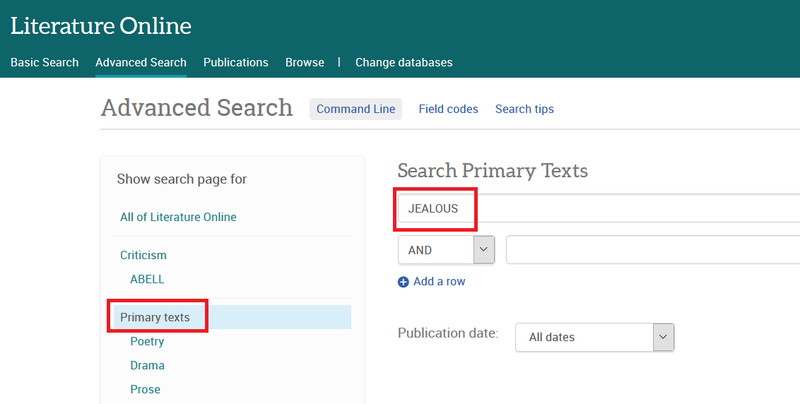 The thesaurus link gives you the following options: the MLA Personal Names Thesaurus and the MLA Subjects Thesaurus. 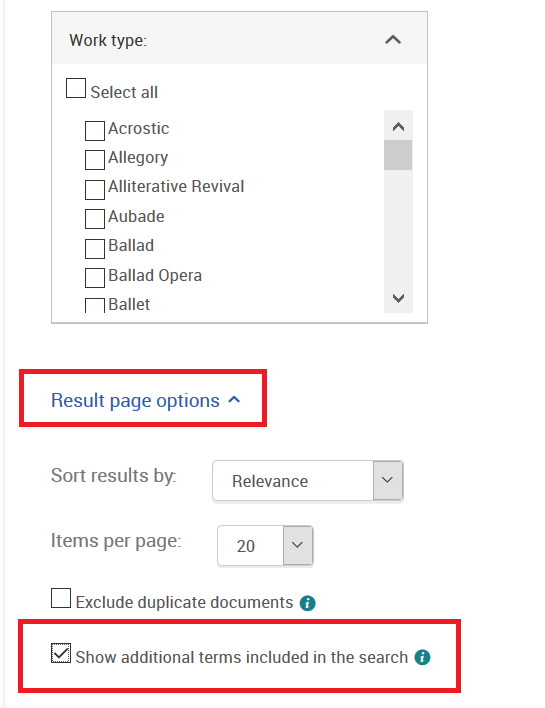 When using Advanced search to search keywords in Primary texts, you can click Result page options and then select Show additional terms included in the search. This means the search will include variant spellings and variant forms of your keyword (which are listed on top of the result list).